Well after last weeks pretty upbeat post, this one will probably not read so positively (read boring), mostly because its been a pretty confusing and frustrating weekend. I was targetting this race on Sunday as one that stood out as being a possible result for not only myself but with plans to work in a break with some other Paceline guys. In theory the course should suit me, relatively flat, a sharp uphill before a sprint to the line. I’ve recently discovered that I actually have a decent kick, so was keen to put it to use here. The Thursday before the race I took a long fairly steady ride out to Dunsfold to take a look at the course, which would hopefully help me get an idea of where to attack, and where to position myself for the finish, this was a long ride at 95+ miles, but nothing too out of the ordinary given the relatively steady nature. The only annoying point was that my saddle rail snapped a couple of miles in which meant a stop in Kingston for a new saddle, and in my haste led to some pretty poor setup. Which took me a while to iron out. As soon as I got on the bike Saturday for a pre race loosener, I knew something wasn’t right. I felt ridiculoulsly underpowered, where normally I could hit a comfortable 300w on the roads towards the park, I was struggling to hold 200w. I convinced myself I must be down to hydration or lack of electrolytes or some such, and carried on to cruise round the park. Eventually got home, and took some electrolytes to try and help things as well as copious amounts of water.Rested the rest of the day and even managed a fairly early night. Up early on Sunday for the race, back on the bike for the ride to Gareth’s, and despite my hopes that the rest would bring my legs back they felt even worse. Gareth convinced me to at least give the race a try, and that my legs may return. We rolled out of the HQ and after a brief neutralised section to the laps the pace picked up, I had positioned myself at the front behind the lead car, but almost straight away I was falling back through the pack. Pace was picking up and my legs were burning with lactic acid. I still had nothing. I could barely hold on, with the perceived effort ridiculously high, it felt like an E123 crit on the effort level! Lasted a lap before almost getting dropped on the brief incline out of the first corner, managed to get back onto the group, then lasted a further 3/4 of a lap before I was having to sprint out of the saddle just to make enough power to stay attached. As soon as I sat back down I was drifting off the back again. I couldn’t keep it up, so sat up and watched the peleton snake its way into the distance as I was passed by the remaining commissaires. Embarrasingly I pootled back to HQ to return my number in exchange for my license. At the time I was just confused, annoyed and frustrated. I went back to the car and led on the grass in the sun trying to clear the negativity out. Eventually, got back up and back down to the course to watch the groups come through for the last lap. Damien and Gareth of Paceline were looking good in a break with Paul Hone of Addiscombe and had a good 40 seconds or so on the main bunch. Moved back up to the finish in order to watch the sprint, which thankfully went off without a hitch despite about a million leisure cyclists out in the way as well as cars, and even an ambulance for good measure. Gareth took the sprint, with Damien not far behind in 5th, and Jim in 9th. A great day for Paceline! Having had some time to reflect I think, and am hoping I’m just overtrained and under rested. The previous week was a big week with a hard 2 hills ride, followed by a failed Crystal Palace attempt, some hard 5 min efforts in Regents Park Wednesday, then another hard day at a Handicap (an hour near threshold, and 44miles too and from). Rest Friday, hard Crit Saturday and RP TT Sunday. So looking back I racked up over 1300 TSS in 9 days with just one full day off. Pretty stupid thing to have done really, but at the time I thought I could handle it, because I felt ok at the time, and that it would set me up with a few rest days for this race. Lesson learned hopefully. I need to make sure I take either at least one days full rest, or actually go super easy on recovery rides, which I usually lack the discipline for. Planning to have the next two days off and see how I feel Wednesday. Here’s hoping I can find something in the legs then!! After reflecting on my last relatively succcessful outing at Cutmill, my next big target was the next SL 3rds race at Dunsfold. I’d had a bit of blip in terms of CTL numbers prior to Cutmill so really wanted to have a big week of training the week after, to try and breakthrough the mini ceiling I feel like I’ve found at the moment. Went out on a club training ride on Tuesday and made sure I really gave it to myself, ended up with some decent power pb’s from around 3mins up to 7mins. Also some good sprint practice. Wednesday the legs were still feeling it but did some fairly strong intervals round Regents Park, which was not ideal prep for Thursday’s SL Handicap race. This was my first Handicap race, and while familiar with the concept from reading others race reports etc, I was still a little unsure how it would end up. As it would happen I was seeded in the second group off, setting off quite some time after the first group containing some 3’s, 3v’s and ladies. My group worked reasonably well to begin with in terms of the chainganging, but most of the riders either weren’t trying very hard, or just were not very strong. This continued for a couple of laps of the rolling course until the next group behind caught up. Things started to get a bit more ragged with around 5 laps to go and a big bunch. There were spats of good chaingang movement, followed by sections where riders would move up the road and it would all break down. Shortly after a few laps to go the scratch group caught us, and the pace picked up quite noticeably. I was now working fairly hard to remain in the bunch or move up, still I tried to get at the front and move the pace on. Into the final lap and it was clear we weren’t going to catch the first group as they had around 2 minutes by now. I thought I’d at least try and position for the sprint, but I was so concerned with staying near the front for the final sharp left hander, that I worked pretty much half the lap hard on the front. By the time we took the last corner I was spent. Had I been fresh I probably would have been at least contesting the sprint, but the volume in the days before finished me and I rolled over the line behind the bunch. Not too bothered as the main reason I was there was for the training, and I would have been sprinting for very minor placings anyway! I reluctantly took Friday off the bike after a busy day, then I had a Cyclopark Crit on Saturday afternoon. Arrived at the course nice and early and in the rain, the circuit was wet, but drying rapidly thanks to the recent warm weather. As it happened by our race start it was bone dry. Bonus! Things got off to a very steady start which was unusual for these races. After a lap or two I decided to move to the front and try and do some work to string things out a bit, which seemed to work as I noticed us dropping several riders off the back. I was still feeling the weeks training but at no point felt like the pace was too much, in fact at times it felt positively pedestrian and I was able to take drinks and scope competitors out a fair bit. Several attacks were attempted but either myself or others shut them down, a couple of times I attempted to jump clear out of the hairpin, but never seemed to make much ground, as others behind me seemed to also have a good jump. After about 30minutes it seemed fairly clear it would all stay together for a bunch sprint, so I backed into the bunch a touch and tried to keep fresh. With 4 to go the pace turned up a touch as people starting thinking about the finish, but no meaningful attacks still. Through the bell lap and the bunch still altogether if a little strung out. I was midpack by this point, so through the finish line moved up all the way on the left handside to second wheel. First wheel then put in a strong dig out of the hairpin to get clear. I didn’t fancy burning a match going after him, so settled into a TT effort down the back half of the course, confident I could make up the ground, which began to close up. Through the corners and back up towards the finish straight all the way pushing a reasonable effort and catching until he seemed to blow before the finish hill kicked slightly. At this point I felt the bunch behind me pick up gears, and the sprint was on. I was obviously slightly late to the party and got swapped both sides with riders going past. A gap opened on the left hand side and I was able to open up for the sprint, not my best effort as I think I was concerned at the other riders so close, but managed to take back several of the places and came across the line in 6th. Pleased with that effort considering the miles I had in my legs. Wish I’d held back a touch and been a few wheels further back into the finish straight though, if I’d have kicked at the right time with space fairly sure a podium place could have been on the cards. 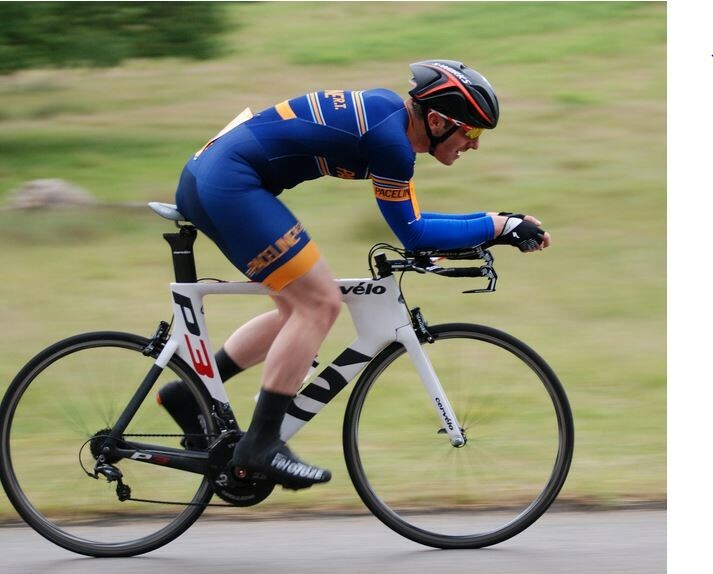 All of this again was not ideal prep for the Richmond Park TT, but good fun nonetheless. I was due to be off at 6:52, which despite the event being the most local I’ve done still meant a 5am alarm call in order to get the TT bike ready, get breakfast and sign-on nice and early. I felt grim being up that early. The weather was overcast and a touch windy, but not too bad conditions considering the rain that had fallen the night before. I signed on and watched a couple of the Paceline guys in the road bike category come over the line as I made my way down to the start. Sprinted hard off the line and was soon into the extensions and making my way towards Roehampton. Legs felt surprisingly ok at this point, and I was aiming at around 330w. Wasn’t confident turning towards Sawyers in the extensions so came up and made the turn before settling back. Reasonable headwind up Sawyers drag made things harder than usual, but I was fairly quickly past my 30 second man. Sprinted the steep section then took a bit of rest in the dip towards Richmond gate, steady round the left turn I then sprinted out of the roundabout down towards Kingston. Felt decent doing 30mph+ down the hill, where I overtook the next 30 second man. Slowed up for the u-turn at Kingston gate which I think I negotiated fairly well, and got back up to speed for the drag back to Richmond gate. I was starting to hurt here and was struggling to keep to my 330w target. Made the roundabout turn back towards Roehampton, and was looking forward to the downhill, where the speed was soon up to 40mph+. Was nice to be able to really push it in the park which was reasoably empty at this time. In hindsight I eased back here too much, as I find it harder to get the power out downhill, but I think the tiny respite helped as I was able to keep the watts up after the downhill. Back towards Robin hood, feeling as ok as you can in a 10m TT, and almost had a horror moment, as a rabbit ran out across my wheel while I was in the extensions. No time to even consider moving, as luckily it was faster than my reactions, and dodged my wheel. The adrenaline spike probably helped me in the last section as I climbed the draggy road up to the finish at pen ponds. The legs were on fire at this point and I sprinted across the finish to end with a time of 25:13. Bit of a disaster with the timings meant not knowing the outcome until later but was 8th in TT bike category which was pleasing, and the watts (326w) were ok too. Think I’m around 20w down on the TT bike so that points to c.350w for 20mins on the road bike, which is positive. Some awesome rides from all the Paceline guys, especially Rob Sharland to win TT bike with 22:58! Gareth Thomas for 2nd in the road bike category with a 25:23 (only 10secs off my time!) and Maryka for winning the ladies road category with 27:12. Conditions weren’t the greatest so there’s more time there. I was also only running training wheels and an Evade helmet, so hopefully I can get in for the next one, be more aero and pick up some time. On the way up Sawyers. Really enjoying riding my bike at the moment whether its racing, TT’ing or training, and I think thats showing in my results. Never say never. 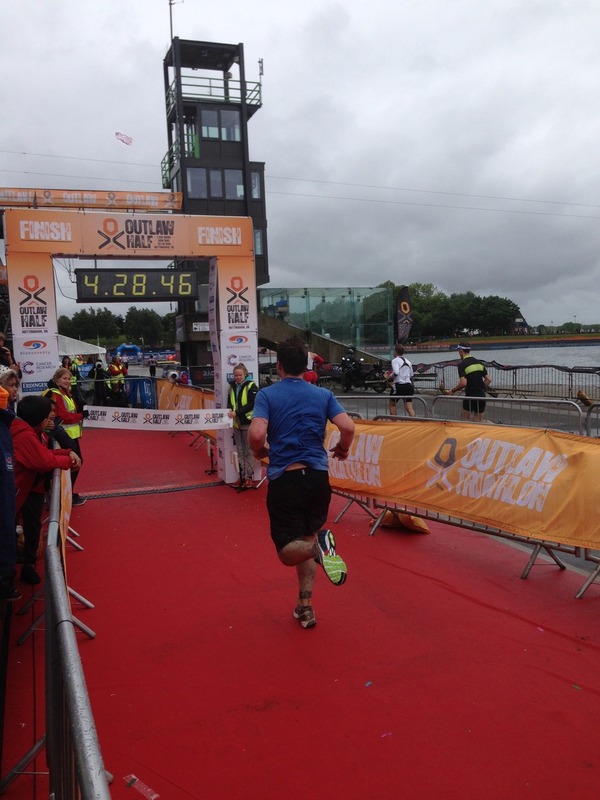 Last time I raced at Cutmill I saidI wouldn’t go back, as the course just didn’t suit me. I realise now that’s just not true. Was cautiously looking forward to this race, as my first 3rd’s only road race. It was also one of the first road races I’d gone into with a degree of confidence. I knew the course, and I knew I could hold my own among 3rds. The race was to be 7 laps of the 7 mile Cutmill circuit. Things got off to a reasonable start after the flag dropped, straight away on the first run up towards the main hill of the course Dom attacked solo. I quickly worked my way to the front to try and slow things a touch, which seemed to work OK. First time up the climb felt manageable, but I had too much PSI in my rear and was spinning a touch in the greasy conditions. Dom’s effort was fairly quickly closed up on the run to the tight hairpin and the group was back together. On the fast descent everyone’s heart rate skipped a beat when the commisaires car shed its flashing light cover. A fairly sizeable white plastic object. which made the loudest noise I’ve heard in a road race as Damien ran over it and it shattered into a bunch of pieces. Before I even knew what was happening I’d managed to avoid a piece. I honestly thought someone had crashed seriously hard, quite a scary moment. Things were slowed soon after as we came across a road sweeper in action. We were soon going again after a quick stop and the pace was still fairly high. 2nd time up the hill and Ed tried an attack, which was again shut down after a fairly short period of time. Down the back of the course and up the lane back towards the main climb, was where a guy a couple of wheels ahead of me to the left decided to take a feed, in doing so touched wheels with Paul of Paceline, he went down and took the guy to my left down, going head of handlebars, and also taking Damien of Paceline down too. I narrowly avoided and was then up the road with a gap to the bunch with Ralph of Norwood. Seconds later the race was stopped which seemed fairly bizarre considering the guys in the crash weren’t too bad. One had a suspected broken collarbone with the others minor scrapes. We stood around having a good natter for 20 minutes with the race stopped. A good opportunity to discuss things at least. I was stood next to Ralph, we talked tactics and good places to attack, he made it clear where he would be going for it with two to go so I made a mental note to try and be near or on his wheel. As it happened it wouldn’t be too far away as after the delay it was decided that the race would be cut by 2 laps so there were only 3 to go. So it turned into a bit more a ctriterium effort given the length of racing left. I was still feeling good as things got back under way, and was keen on trying to force some breaks, as I had a good feeling I could try and get a placing this way. We went round for another lap, and instead of waiting for Ralph to jump, I went for it before the hairpin, but was soon joined by him and another Dynamo guy, we worked well for half a lap, but just couldn’t keep any sort of a gap up on the fast descent. Another lap in Sam A from Paceline and another Dynamo guy went up the road, and despite our best efforts trying to block they were soon reeled in on the main climb, despite it looking like a convincing break. With one to go myself Ralph and Dynamo had one last break, and I really thought this would stick, as the bunch seemed to be tiring a touch, and we initially had a really good jump. Back down the back of the course though a couple jumped across, then soon after it was closed up, however the pace was still high and things strung out. We went through the tight lane section of the course and I was on the front still pushing hard. I thought we still had a minor gap so wanted to push on up towards the hill. This proved to be a poor decision as I felt the burn on the way up the hill. I was moving back through the group until I decided to give it a proper sprint effort after having recovered from my earlier effort a touch. But being so deep in the group it was really sprint for a bit get blocked/ held up try and move around and then get the same block from another rider. Eventually a gap opened on the other side of the road and I went full gas up towards the finish, which was when I must have made up about 10+ places to just cross the line 10th. Frustrating because at the line the closing speed difference I had on everyone around me felt huge. Had I eased off earlier and kept the effort high up the hill initially, I would have been sprinting for a much more competive place. Lesson learned though, this is the first race that has made me realise I do actually have a decent sprint/kick that I can hold for 30+ seconds, even after several hard efforts. Something I haven’t used in other races, and haven’t been able to fully exploit yet. But no doubt something I should in the future. 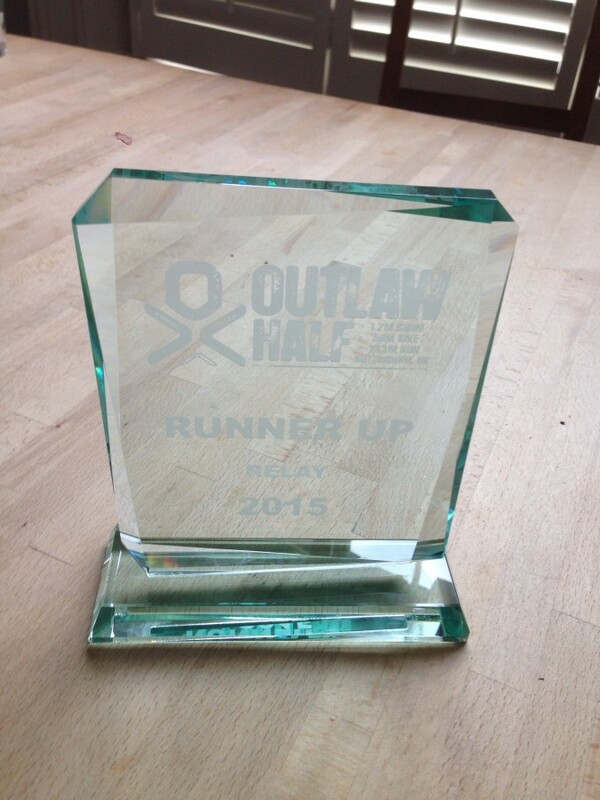 Overally pleased to get a result from a race I was expecting to not suit me, even if it is only 1 point. Have Richmond Park TT coming up this weekend, then Crystal Palace Crits on Tuesday followed by Dunsfold 3rds race the following weekend. Probably my best chance for a win so far this year. Something a bit different this weekend. 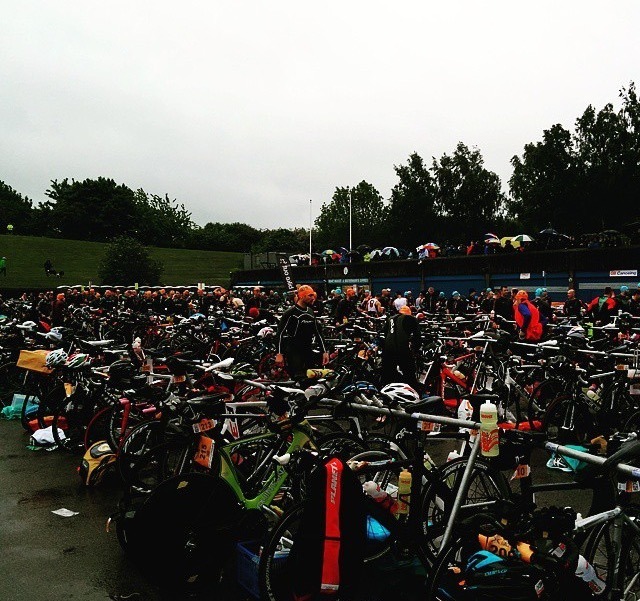 Bit of a hangover from my triathlon days, I had entered this Half Iron distance race (1.1m swim/56m bike/13.1m run) with the intention of doing it as my main race for the year, before having decided to just concentrate just on cycling. So halfway towards the event, I managed to change it to the relay category, and invite two of my friends along for the other legs. I had this as one of my main aims for the year still as I really enjoyed the bike leg from previous years, and being a flat TT course on good roads I knew I could put in a reasonable time. I had done a 2:36 last year when I was doing the individual which was enough for a top 10% bike split, so not having to run, and riding in more aero gear with more watts I thought I could be on for a good time. If I came through, then providing our swimmer and runner came in with their expected times the predicted 4:30 overall could put us in contention for a podium based on previous years times. Good motivation! In training on open roads I’d already managed a 2:26 with no aero gear in good conditions, doing 265w. I’d figured I could probably add another 5w to that for race conditions so was roughly targeting 270w. Day before, calm before the storm, literally. The day rolled round sooner than expected as did the 4am alarm call. I woke up feeling pretty grim after spending the night in a boiling hot hotel room. The diet of dominos pizza did nothing for my race morning hydration levels as I felt completely dried out. So I began sinking plenty of water, while I got ready. Skin suit and number pinned on and I was ready to head out with Matt our runner. Got to the venue nice and early and eventually got parked so I could begin setting my bike up. I had spent the last few days preparing and gluing new tubs, but had a last minute change of heart given the weather. It was raining reasonably hard, and was getting windier as the morning wore on. Quickly I tried to change back to training wheels, which involved a brake pad swap, as I’m much more comfortable on 25mm GP4000s clinchers in the wet, and the wind. Rolled down towards transition with Matt, to meet Jason, our swimmer. By now transition was filling up fast, we were located right at the front, with the relay teams being given the top 32 numbers. At this point, after trying to put on my TT helmet I found the strap had broken, which meant it was useless! Luckily I bought my Evade with me, so dashed back to the car (15min walk) to pick it up. I was getting nervous by this point as Jason was in the water and had started before I was back in transition. Disaster averted I eventually got back and got my shoes and overshoes on and was ready with time for another toilet stop to spare. Jason was expecting around a 30min swim, but had rolled his ankle in a mountain biking fall recently so anything near that time would be pretty impressive. The first swimmer was out in a hugely impressive 23mins, and was one of our competing relay teams, the High 5 relay team. More and more swimmers started coming in after this, several other relay teams and individuals. Jase eventually made it in with a 32 min swim. Good going. I made sure I was ready as he jogged into transition and grabbed the timing chip from his ankle, helmet on and out towards the bike mount line. Almost managed to screw this up jumping on too early, before getting back off, and on again at the appropriate place. Too keen! 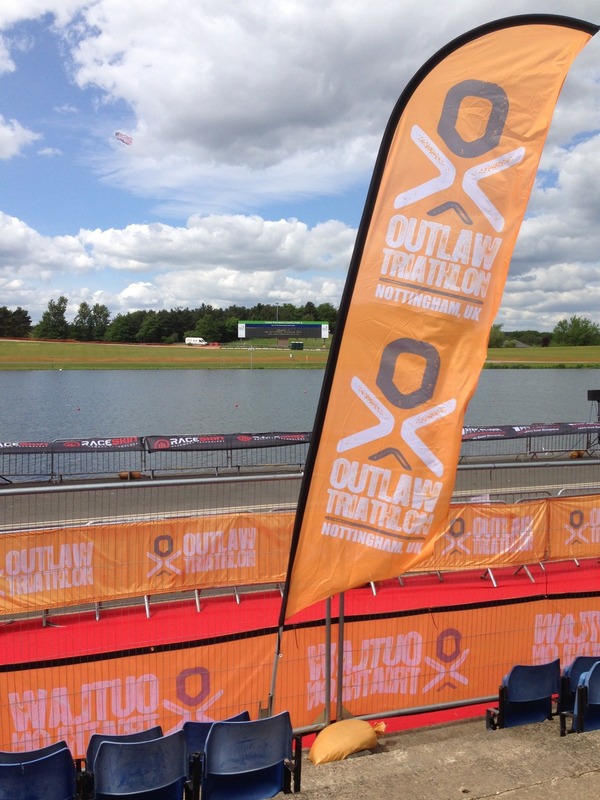 Sprinted out of T1 and down alongside the rowing lake with accompanying tailwind. I was excited and my watts were way too high. I was doing about 30mph downwind, at about 280w shouting at other riders to stay left as I passed on the right. We turned back at the end of the rowing lake into the wind, and I was doing 290w but only going 22mph. Out onto the course, and I settled into a better rhythm with good RPE for the watts. As I had in training I decided the best way I could think to pace was to split the course into 30 minute segments, and target average watts for each segment. Quickly the first 30mins passed and I had average 272w, I steadied the ship after initially seeing over 290w on the screen at time, to try and save myself for later in the race. By this point most of the course was crosswind or tailwind so I was going well at 25.1mph average. The second 30min segment passed without incident and I was more under control by this point averaging 271w, closer to the original 270w target. Again things were either down or cross wind, so speeed was good at 24.6mph and I was feeling strong still. It was around now that I had something I’d never really experienced in a triathlon before, I’d finished overtaking people by and large. There was one guy in view who I was slowly reeling in, but aside from that I was on my own which was a slightly odd feeling in a race like this. The third 30mins came and went, and after helping myself to a gel I was starting to feel more confident, I didn’t really have any indication of where I was in the race, but figured I must have been getting near the front due to the lack of people around. By this point excitement was getting the better of me and the watts began to creep up, averaging 276w. I was still taking it steady round some of the sharper turns, but maintained good progress getting out of the saddle to get back up to speed again. The rest of my race strategy was to pace the fourth 30min segment at target, then use whatever I had in the tank to just do what I could in the remainder, which I figured could be anywhere up to 25mins long. By this point I was still alone and as course turned into the wind, things slowed right down with the wind and rain driving hard into my face which became pretty horrendous. I’d averaged 280w for the 30mins but the speed was down at 23.7mph, for the first time the legs felt fatigued. As the last segment of my strategy began I had a burst of motivation, and I felt I was within touching distance of my target time, I still felt ok, and so I just let myself pedal as hard as I thought I could manage. There were some really tough headwind/rain sections now as I worked myself back to transition. With 4 miles to go my stomach began to get that empty feeling and I was worried I was going to blow on a particularly tough long headwind section, thankfully this was followed by a nice steady downhill sheltered section where I think I was able to recover slightly. The last two miles as anyone who has done the race can attest are poorly surfaced to say the least, large speedbumps followed by a gravel road, more speedbumps down a slight hill, then out onto the watersports centre perimeter road. Eventually I got through to this and by this point was giving it everything doing around 330w back to transition, made the final turn down to the lake (I’m told quite a few people came off here! 😐 ) and jumped off the bike having averaged 285w for the last 21mins at 23.1mph. Tried to run as fast as I could through transition to our runner Matt. Racked the bike and passed the timing chip over before sitting on the wet floor trying to catch my breath, I was absolutely smashed. Overall happy with a bike split of 2:21 in those conditions, averaging 277w in total, 3rd fastest overall bike split and fastest in the relay race. It felt great to set out with a good plan and to for the most part execute as planned. We must have started the bike split well down in the standings, but I was 5th bike in, and had set up Matt for the run nicely, with him starting in 3rd, and Team High 5 second, with the first place Team TFN miles ahead and out of reach. I got dressed into some warm clothes and headed out onto the course with Jase to cheer Matt on. We stood watching at about the 10km point, as we did the Team High 5 runner came past in 2nd with Matt around 100m back, and clearly closing in. We cheered him on, as he looked strong, the chase for 2nd was clearly on. Jase and I then moved over to the other side of the course and waited for Matt at 16km, unsure of where he’d be placed, and whether he’d manage to overtake High 5, or whether in his first half marathon, he’d struggle. We didn’t have to wait too long before Matt emerged from the far side of the course ahead of the High 5 team, and in second place. We cheered him on and tried to boost him to the finish, before moving over to the finish line itself in wait. Again didn’t have to wait too long before Matt sprinted down the chute, the 8th person over the line and in 2nd place for the relay teams. We were all pretty chuffed with a great result in really trying conditions. We waited around for the podium presentation and picked up a trophy each which was pretty cool, before packing up and heading home. A good fun event, with a great result. Felt a bit unfair at points doing one event each rather than all three, but was still a race at the end of the day, and a good opportunity to try a long TT, which aside from triathlon, I’d not really done all out on the bike before. Really enjoyed it, and may spur me to enter a couple of 50m TTs in the future. 2 hours for a 50 mile TT seems like a good target!